Save on your next flight from HGH to DAL when you book through Travelocity. Need a last-minute flight to Dallas? Travelocity offers discount airfare no matter when you book, even on popular routes such as Xiaoshan Intl. Airport to Love Field Airport. Whether you need a direct or indirect flight, you can trust Travelocity to provide you with the best prices for HGH to DAL flights. Top Flights from Xiaoshan Intl. Top Flights to Xiaoshan Intl. This Dallas hotel is 1.7 miles from Bachman Lake Park, 2.7 miles from the University of Texas Southwestern Medical School, and 3.9 miles from Dallas Love Field. Situated in Dallas, this vacation home is 0.6 mi (1 km) from Frontiers of Flight Museum and within 3 mi (5 km) of Highland Park Shopping Village and Dallas Country Club. Plaza at Preston Center and The Strip on Cedar Springs are also within 3 mi (5 km). 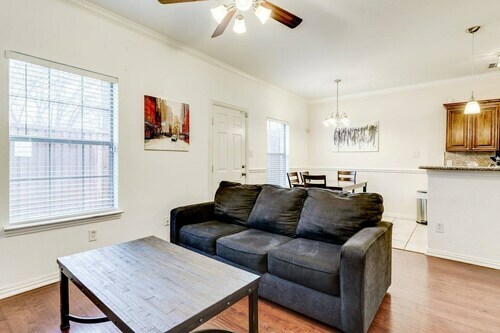 Situated in Dallas, this romantic vacation home is within 3 mi (5 km) of University of Texas Southwestern Medical School, Dallas Market Center, and Children's Medical Center of Dallas. Parkland Memorial Hospital - UT Southwestern and Frontiers of Flight Museum are also within 3 mi (5 km). Burbank Station is 23 minutes by foot. 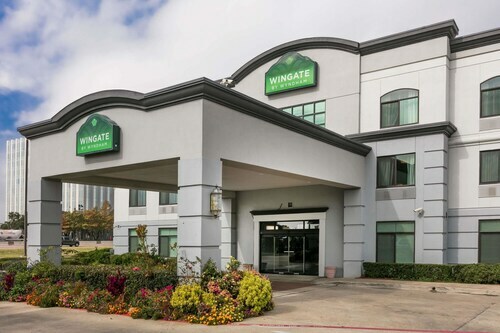 Situated in Dallas, this hotel is 0.9 mi (1.5 km) from Frontiers of Flight Museum and within 3 mi (5 km) of Dallas Market Center and University of Texas Southwestern Medical School. Children's Medical Center of Dallas is 2.4 mi (3.8 km) away. Inwood-Love Field Station is 23 minutes by foot.